Detectives are investigating after a body was found in the 8400 block of 1 Ave S. around 3:30 p.m. Saturday, July 28. Witnesses reported hearing a disturbance at the address just before an unknown make and model of car sped away. The witnesses then saw a man who had died, lying on the ground where the car had been. Detectives are working with the medical examiner’s office to determine the cause of death. This remains an active investigation. Anyone with information is asked to call the homicide/assault tip line at (206) 233-5000. Detectives are investigating a man who was shot was dropped off at a Delridge apartment complex early Friday morning, July 27. Residents in the 5000 block of Delridge Way SW called 911 around 2:45 a.m. reporting the crime. Police arrived and found the man who was shot twice in the back. Seattle Fire Department medics took the 28-year-old victim to Harborview Medical Center with non-life threatening injuries. Gang unit detectives are investigating. They believe the shooting took place in another location and the victim was driven and dropped off to this address. Detectives are now searching for the vehicle that initially transported the victim. Detectives are asking anyone with information in the case to call the tip line at (206) 233-5000. Around 3:10 a.m. on Sunday, July 29, a woman in the 4800 block of Erskine Way SW called police to report an armed robbery. While en route, officers called a K9 and back up units. The woman said that a man came into the front door of the store wearing a mask. A man in the back of the store came to assist the man, who held him up at gunpoint, demanding money from the register. The victim was unable to open the register, and the suspect grew impatient. The robber reached over the counter and shook the victim by the shoulder. The victim gave the suspect cash stored under the counter. The victim did not want to see medics. The suspect was wearing white gloves and did not leave any fingerprints. Officers tracked the suspect but were unable to find him. 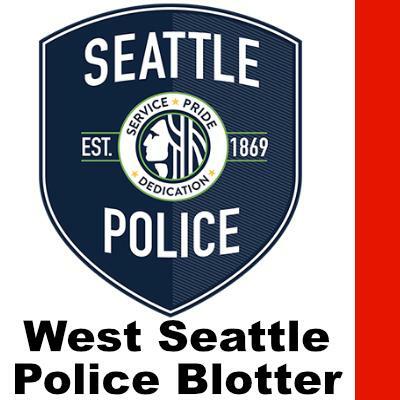 A condo complex in the 3100 block of Alki Ave SW called police around 11 a.m. on Friday, July 27 to report a burglary of its laundry facility. The door handle, lock and door to the room were damaged. Nothing was missing or broken inside the laundry room itself. Officers were able to find a fingerprint to submit into evidence. So - you say the intruder of the Laundry facility got away Clean!